Click on the error category to learn more. Error Code(s): 518 (a new security question was prompted during scheduled refresh), 522 (answer/code not provided within specified time), 523 (incorrect answer/code for security question. This is not a security alert from 360 Wealth. The institution you are attempting to link is requesting additional security information. You may be prompted for a one-time passcode or security code which should be entered within the allotted time (1-2 minutes) or the refresh will fail with one of the above error codes. 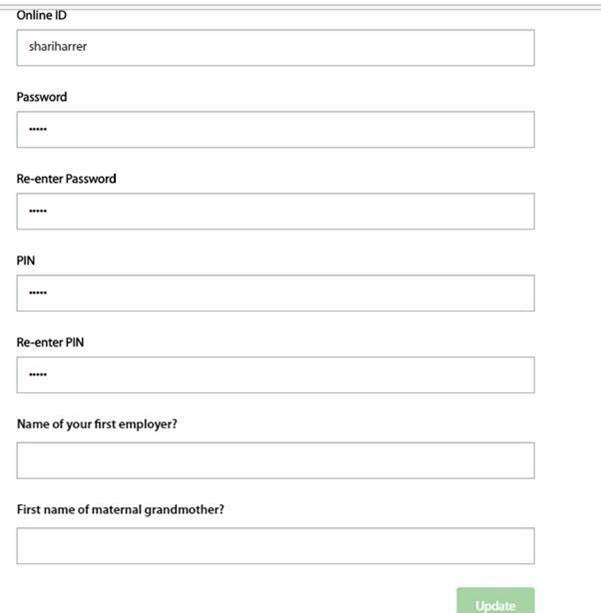 On the Edit Credentials page, update the answers to security questions and click on Update. Upon selecting Try Again link, a refresh will be initiated and you well be prompted with an MFA challenge. You may have updated the username/password for the site you're linking to without updating its username/password within 360 Wealth. This error will persist until the credentials are updated. 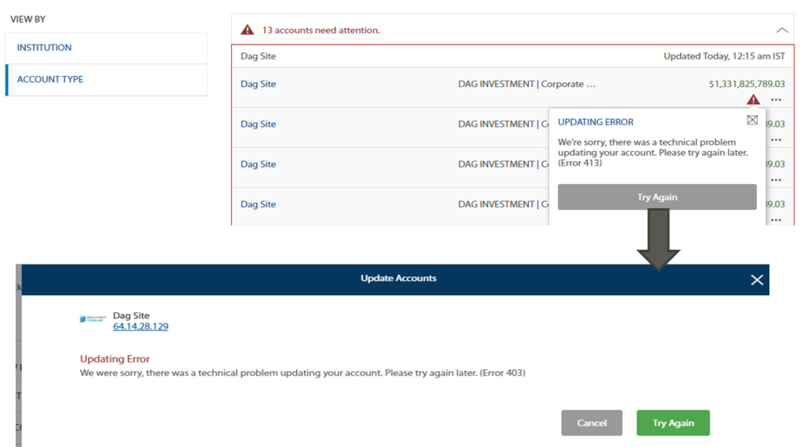 If the password is expired or the account is locked on the site you linked to 360 Wealth, you will be unable to get refreshed account values until the account is unlocked at the end site and updates are made on 360 Wealth. The site you linked to 360 Wealth is prompting you to accept its terms and conditions or update your personal information. 360 Wealth cannot refresh these account values until this is resolved at the end site. Occasionally, sites will update their layout, launch new marketing messages or implement a site change that prevents 360 Wealth from retrieving account values. Usually, we are already aware of this issue and are working with our vendor to achieve resolution. Send a screen shot to bairdonline@rwbaird.com. We will confirm that it’s a known issue and provide a possible ETA. 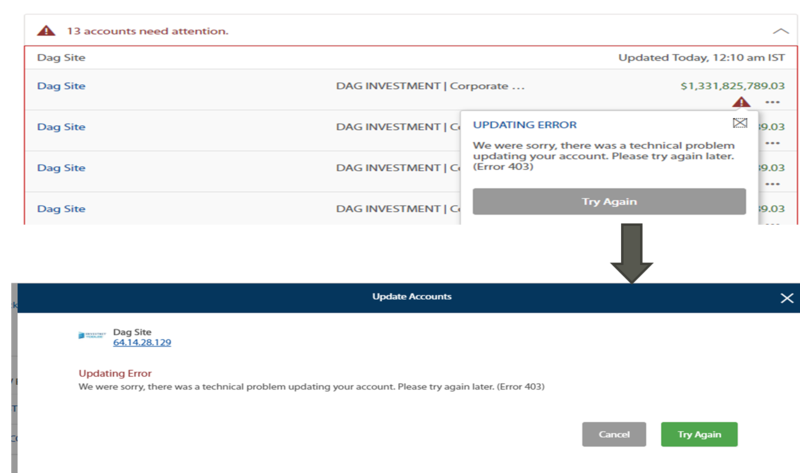 This occurs if the account is closed, or if 360 Wealth is trying to link to an account that doesn’t exist. For example, if you are trying to link a credit card at an institution where you only have a bank account, you will receive this error. Verify that the accounts have been linked through the Fastlink process. Download the Baird Online App!